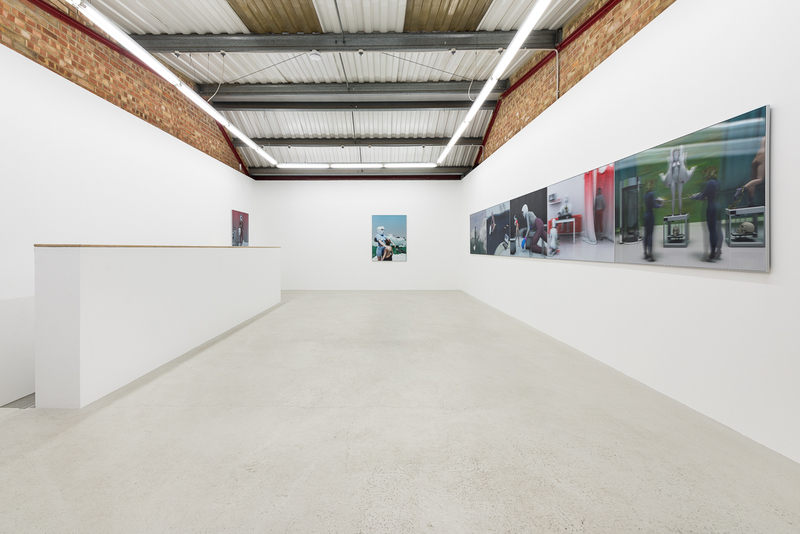 Annka Kultys Gallery is pleased to present Generic Jungle, an exhibition of lenticular images by Russian artist Olga Fedorova. This will be the artist’s first solo exhibition with the gallery as well as the artist’s first solo exhibition in the United Kingdom. Olga Fedorova is an artist working at the intersection of photography, painting, digital imaging and installation. Using three-dimensional digital rendering software, Fedorova creates forms that resemble ready-made models and inserts them into spaces and landscapes typified by their aseptic, clinical sterility and detached, impersonal ambience. Fedorova’s images, with their surreal, dystopian presentation, evoke uneasy, dreamlike states that feel both familiar and alien, comforting and disturbing. 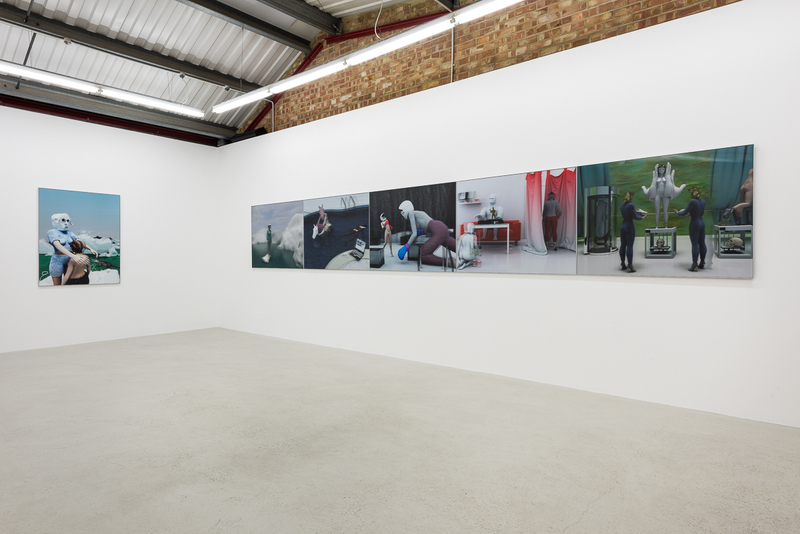 All on display for the first time, the works in Generic Jungle resist interpretation through the interplay of absurdist subject matter with representations of the banal. In Selfie (2017), a gas-mask-wearing figure sits atop a toilet and looks out a translucent window through a stereoscopic photographic device. In the foreground, a selfie stick, suspended by unseen means, holds a cell phone camera trained upon the seated figure. The figure, simultaneously looking at and looked at, appears caught in its own endless cycle of repetitive image making. In contrast to traditional surrealist notions which viewed the mind as being capable of limitless creation and technology as facilitating such unbounded creativity, Fedorova instead prefers to present the mind as being hobbled by technology. Tongue-in-cheek symbolism and oblique political commentary are central to Fedorova’s artistic sensibility. The seated figure in Selfie wears a gas mask, evoking Cold War tensions and nuclear paranoia – a psycho-political state of anxiety which has a contemporary relevance due to current political developments. Female figures wearing high heels (a symbol of Russian female sexiness and sensuality) feature in several of Fedorova’s works; an aspect Fedorova describes as comprising an important element of Russian female identity. A female deity raised on a platform while being offered gifts by two high-heel clad women features in In my house (2017), the deity’s hands – symbols of a ‘feminine touch’ – being enlarged on a massive scale to emphasise the visual clue. 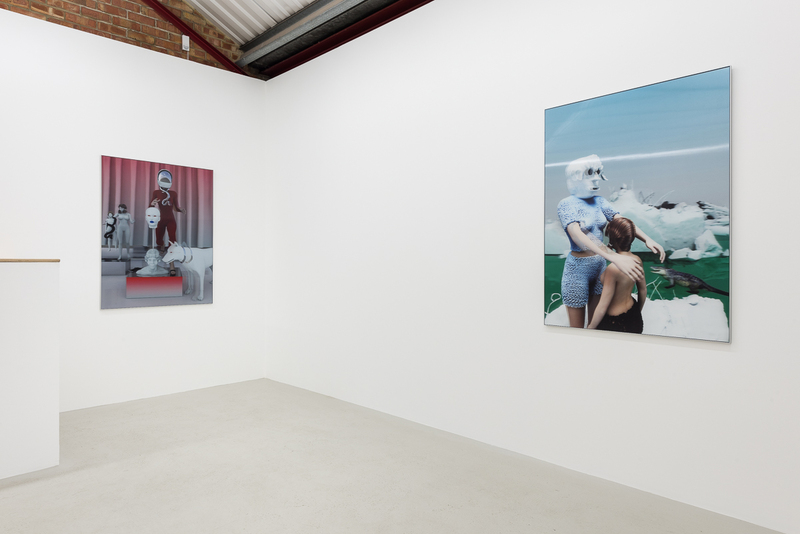 Such pieces contrast with works like DJ set (2017) and Rivals (2017), which instead employ symbols of Russian male machismo, with the female figures sporting motorbike helmets, space helmets and boxing gloves. When these symbols are appropriated by female figures, it is unclear whether the effect is to subvert patriarchal power dynamics and provide female actors with renewed agency, or to discard personal identities and feminine traditions. Men are noticeably absent from Fedorova’s images, replaced instead by wild animals, such as gorillas, horses, dogs and crocodiles. 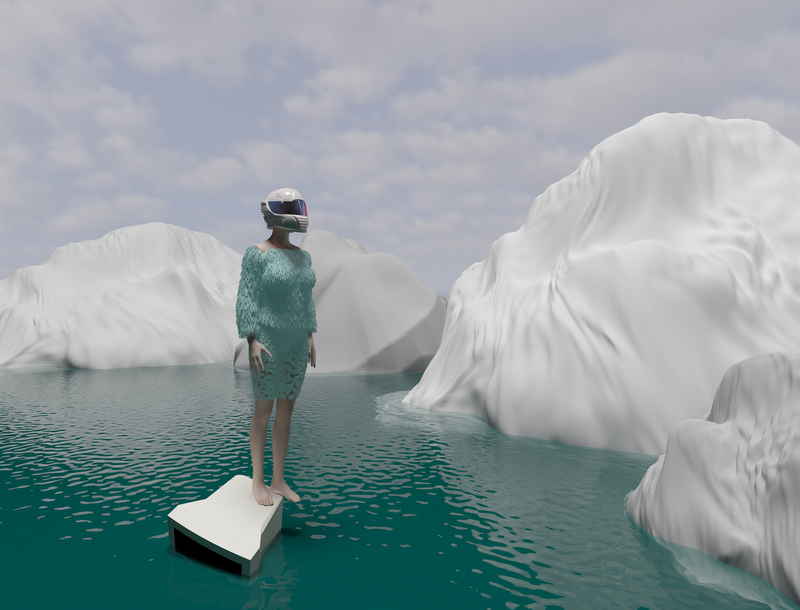 Olga Fedorova’s lenticular images are created in the virtual space of the computer. (Lenticular printing produces images with an illusion of depth and/or the ability to change or move as the image is viewed from different perspectives.) In the gallery space, the images acquire a new virtual aspect from the illusory dimensionality afforded by the lenticular printing process. The process of producing Fedorova’s lenticular images involves printing and laminating 74 separate digital photographs which are then compiled onto ridged, overlapping plates, such that at different angles alternate aspects can be seen within a single image. While such multiple perspectives within a single work is reminiscent of cubist influences that first emerged over a century ago, the emotionless sexuality, aseptic environments, droll scenarios and bland, featureless objects and figures that Fedorova brings together in her absurdist images, sit much more naturally within what may be best described as the contemporary surreal. Her works and projects have been the subject of solo and group exhibition in galleries and museums across Europe. 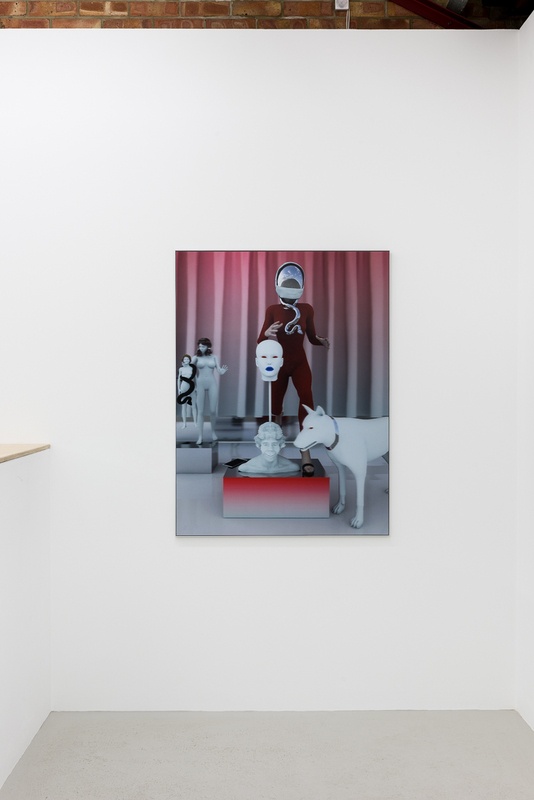 Most recently, her work has been included in group shows at Annka Kultys Gallery, London and in the exhibition Escaping the Digital Unease (curated by Domenico Quaranta) at Kunsthaus Langenthal, Switzerland. 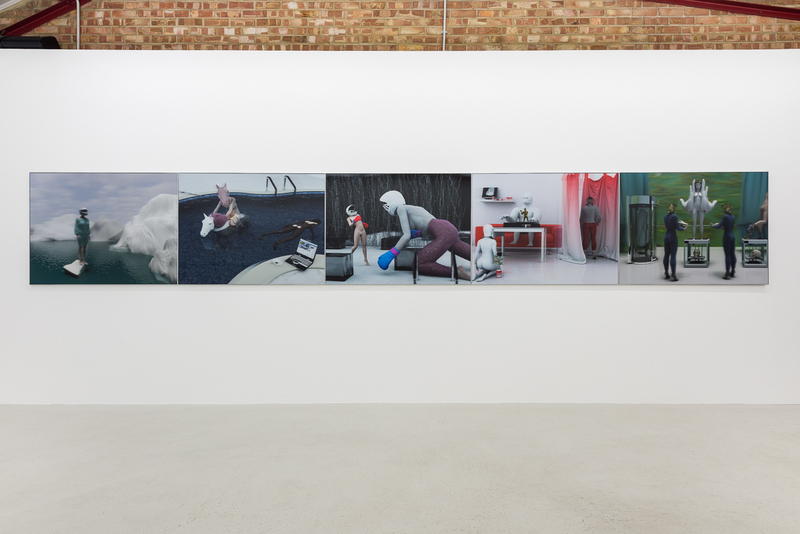 In 2016, the artist presented a solo show, The Inevitability of a Strange World, at Liebaert Projects in Kortrijk, Belgium, as well as a virtual solo exhibition at offspace.xyz. 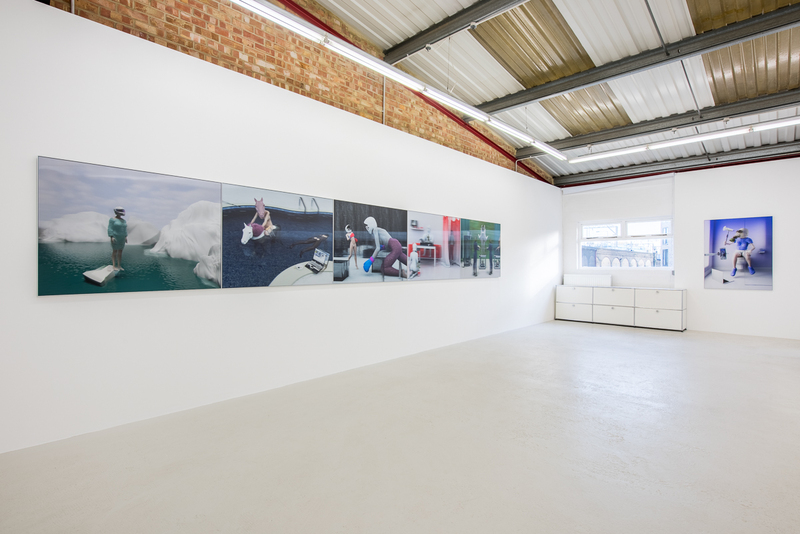 Fedorova’s work has also been included in group shows at leading European galleries, including: In De Ruimte, Ghent; Pulsar, Antwerp; & Russiantearoom Gallery, Paris. Fedorova’s video works have been included in virtual exhibitions for The Wrong Biennale, DaDa Club Online, Felt Zine, and Blockedart.com.